Call 785-408-7634 to schedule your first appointment. Your ability to hear can greatly impact your overall quality of life. Whether you’re encountering a hearing problem for the first time or have been seeing a hearing specialist for years, if you feel that your hearing isn’t what it should be, come to Miracle-Ear. As an established hearing center in Topeka, KS, our goal is to help you reach the point where hearing isn’t something you have to think about, but rather, it’s something you simply do naturally. For more information about our Topeka, KS hearing center or to see how we can help you, call or visit Miracle-Ear today. Tracy Schmutzler is your local Hearing Instrument Specialist in Topeka, KS. Tracy is state-licensed by the Kansas Board of Hearing Examiners. In addition, she has had extensive training with Miracle-Ear and has received her Miracle-Ear Professional Certification. Her training includes Live Speech Mapping, Real Ear Measurement, Deep Canal Impressions and is proficient with all audiometric equipment to service your needs. 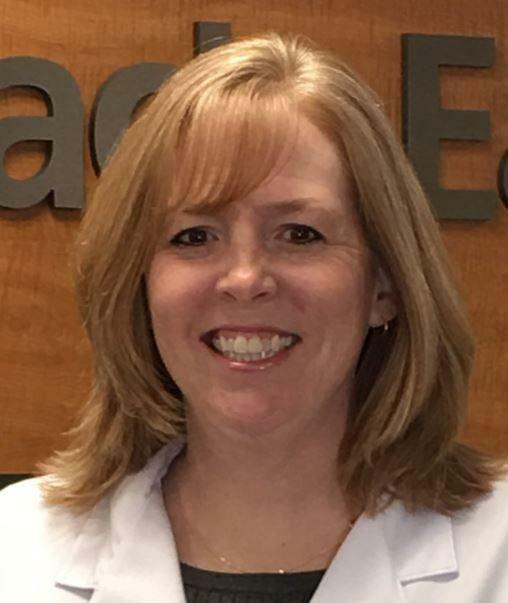 Tracy is a member of the Kansas Hearing Society, International Hearing Society and is a recognized Miracle Maker with the Gift of Sound through the Miracle-Ear Foundation. Tracy is originally from Scott City, Kansas and has called Topeka home for 20 years. With her husband, AJ, they are raising two wonderful teenage girls. Together, they enjoy spending time with family, friends and their dogs. Tracy advocates for improved hearing health and loves providing others with better hearing. As Helen Keller said, "Blindness cuts us off from things, but deafness cuts us off from people".